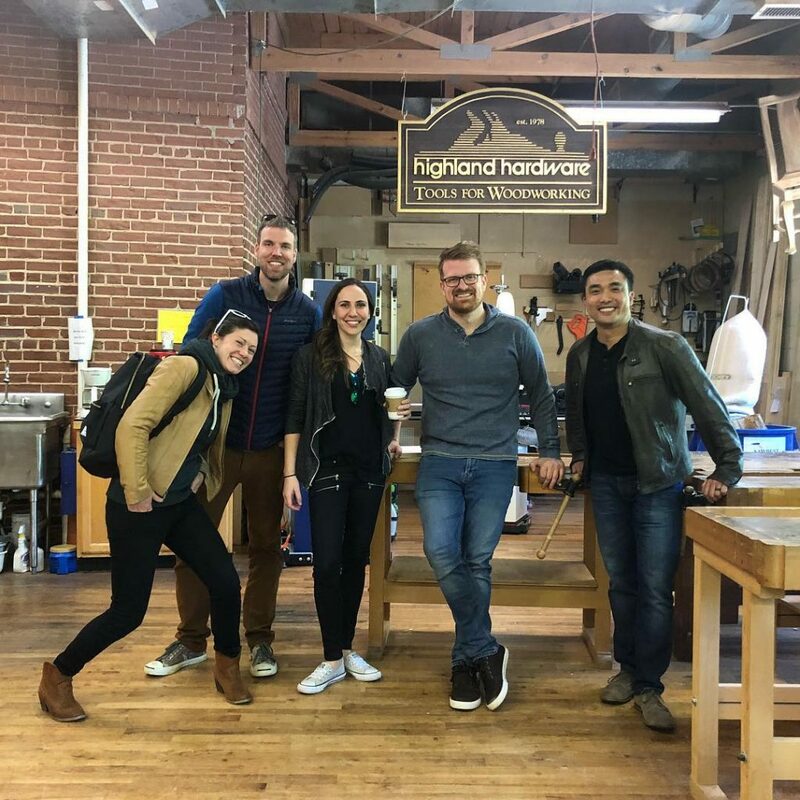 On Monday, April 15th, we got a surprise visit from Anne Briggs (@anneofalltrades) along with several other well-known woodworkers including Adam Beasley (@lazyguydiy), Tamar Hannah (@3x3custom), Rick LaFaver (@thewoodworklife) and Huy Huynh (@alabamawoodworker). We first connected with Anne back at Handworks in Amana, Iowa in May of 2015 when she was helping out at the Sterling Tool Works booth. She then started our Women in Woodworking column for Wood News Online back in 2015, which created the foundation for future column authors Andrea Ramsay and Char Miller-King. This was the first time Anne had visited our Atlanta store since she was in town for another meeting and she was excited to see where all of the tools that we ship out on a day to day basis actually come from. Similar to Anne, a lot of our customers who shop with us online often try to include a stop at Highland when they are in town and if you’re reading this, we invite you to do the same if you’re ever in the neighborhood! 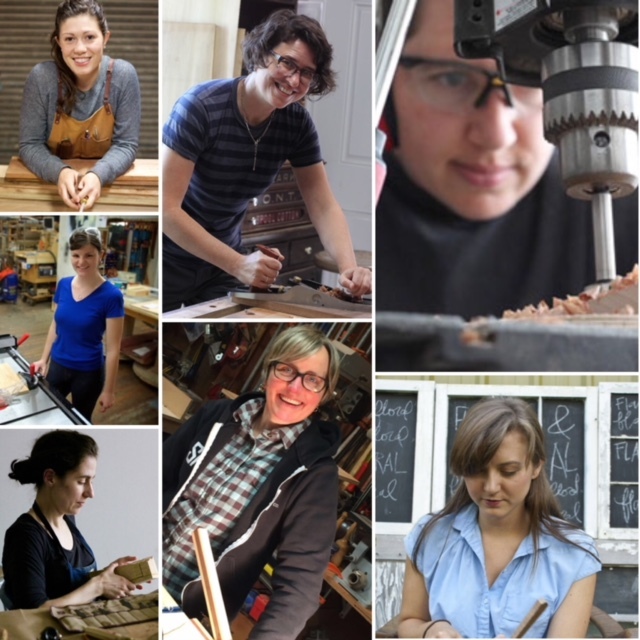 In honor of International Women’s Day, we’re sharing our Women in Woodworking Archives. 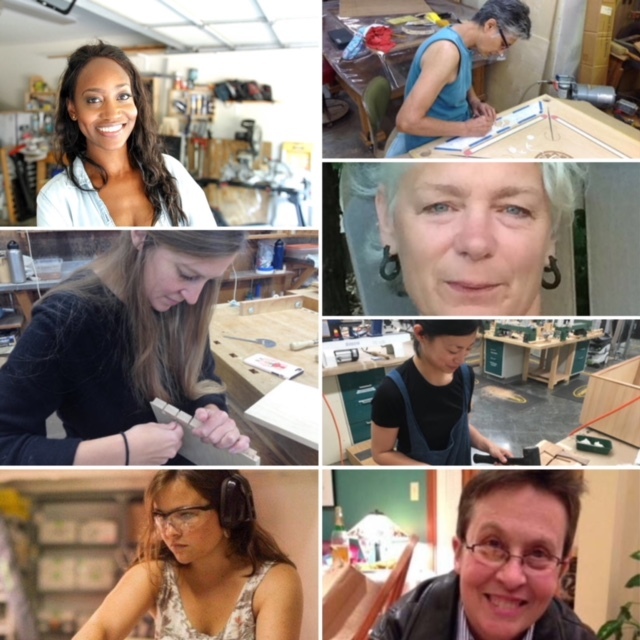 This is a compilation of all of the past women we have featured in our Women in Woodworking column from Wood News Online, our monthly woodworking newsletter. This column was started by Anne Briggs, also known as Anne of All Trades. 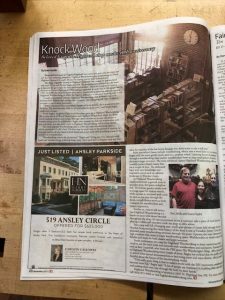 She passed the column along to Andrea Ramsay who interviewed a variety of woodworkers all over the country who have been making their mark in the woodworking world. 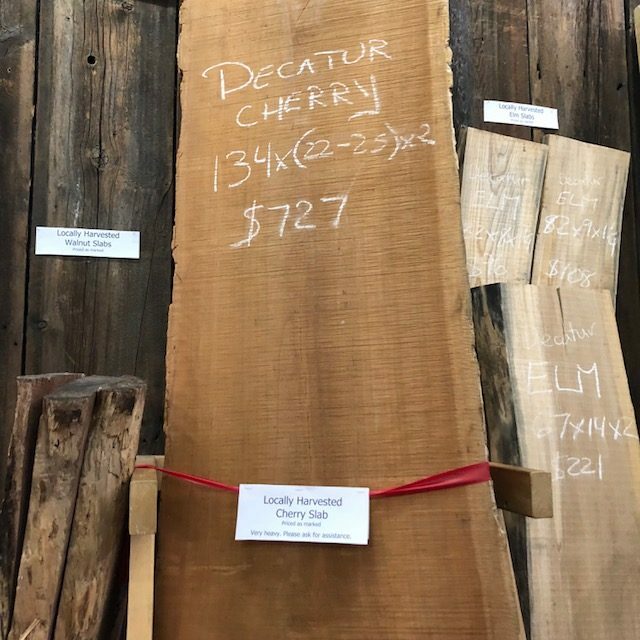 We’re excited to be restarting this column in our upcoming April 2019 issue of Wood News Online. If you or someone you know would like to be featured in this column, please email Molly Bagby at mbagby@highlandwodoworking.com. 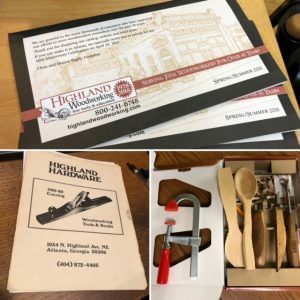 On Saturday, April 28th, 2018, we celebrated Highland Woodworking’s 40th Anniversary! We were excited to have our special guests Nick Offerman, Roy Underhill, Thomas Lie-Nielsen and Chuck Brock. We also had demonstrators from Festool and SawStop as well as a carving demonstration by Jim LeClaire. 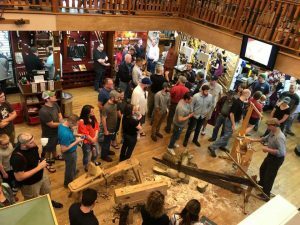 Our guests and demonstrators were located throughout the store offering a variety of demonstrations, discussions, and overall woodworking camaraderie. Upstairs we had actor/woodworker Nick Offerman signing copies of his books Good Clean Fun, Gumption, and Paddle Your Own Canoe. In the middle of the day Nick took a break from signing and came downstairs to demonstrate the quick technology of the SawStop Professional Cabinet Tablesaw PCS. Instead of doing the demonstration with a hot dog, Nick specifically requested a bratwurst. Despite a new kind of “test dummy” than is normal for these demonstrations, the SawStop still proved itself and barely nicked the bratwurst. 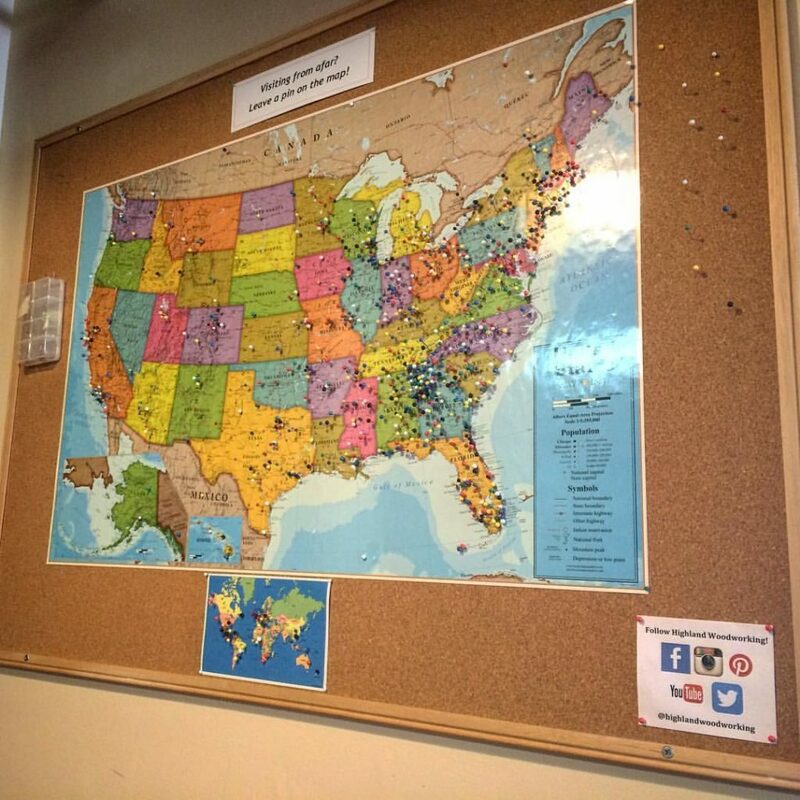 In our Seminar Room we held our Dovetail Donation Challenge where we partnered with Building Homes for Heroes, an organization that builds or modifies homes, and gifts them, mortgage-free, to veterans and their families. 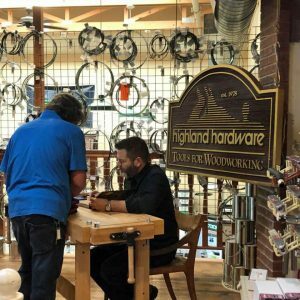 With the kind donations of our customers we ended up raising $295 for the charity, which Highland Woodworking matched and the organization will be receiving a check for $600. We also had carver, Jim LeClaire demonstrating his figurine carving. 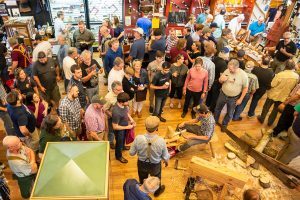 Roy Underhill, host of The Woodwright’s Shop, was centerstage in the middle of the store entertaining customers with a variety of his woodworking machines he brought down from his shop in North Carolina. His machines were all powered by hand and “kids of all ages” were excited to try them out. Also in the middle of the store we had Thomas Lie-Nielsen and Deneb Puchalski from Lie-Nielsen Toolworks. 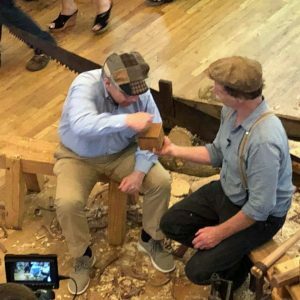 Deneb was demonstrating a variety of Lie-Nielsen planes, chisels and saws while Tom was answering questions and chatting with customers. Charles Brock, host of The Highland Woodworker was stationed at the front of the store with his sculptured rocker he brought down from his shop in Tennessee. Throughout the day Chuck was also conducting interviews for a future episode of The Highland Woodworker so be on the lookout for that episode! In the back of the store we had our Festool representative on hand answering questions and demonstrating our wide array of Festool Power Tools. We hope all who came had a wonderful time and if you couldn’t make it to our store this past weekend, you’re always welcome to come visit us here in Atlanta! Click here to view our photo gallery with highlights from the event. We’re excited to have been featured in another Atlanta publication this month after having just been featured in an interview on the Voyage ATL website. Grace Huseth, a contributor for Atlanta INTOWN sat down with Molly Bagby, daughter of owners Chris and Sharon Bagby, to discuss 40 years of Highland Woodworking. Although Molly hasn’t been around for all 40 years of the store’s operations, she spent the majority of her childhood in the store when Sharon started bringing her to work just a few weeks after she was born. Read more about Highland Woodworking’s history in our article featured in the November 2017 issue of Atlanta INTOWN.